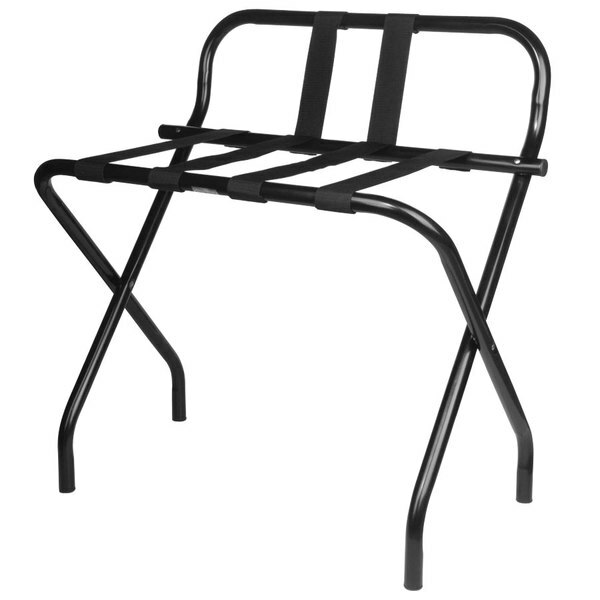 Help your hotel or motel guests unpack their luggage with this Lancaster Table & Seating sturdy folding luggage rack with guard! It features an attractive, black metal frame with a handy guard and sturdy nylon straps for support. It even folds for storage! Rubber feet protect your floors from scratches and scuffing, and contribute to stability and slip resistance.